Yuu Watase was my life when I was 13-15! Just finished watching Ayashi no Ceres for the first time in a just over decade, now I can re-watch Fushigi Yugi?! Oh man, nostalgia station, straight ahead! In all seriousness though, this show (and ceres) will probably be crappy to new viewers. The herion in watase manga are always average looking, aren't very smart, are constantly the damsel needing rescuing, fall hard for the main guy right away, but are always wishy-washy and lead the other guys around her on. Oh, and many get almost-raped. Ugh. It's been so long since I've watched this. Thank you Crunchyroll. It's nice when a classic becomes available to enjoy all over. I was browsing Facebook when I scrolled past a Crunchyroll post saying they had Fushigi Yugi, and I immediately came to watch this. Great series. Anime was different 10, 20, and 30 years ago. Maybe I'm just old, but most often I would rather re-watch these same ones over and over. A '90's classic returns! I watched this series when I was younger and it was one of the first anime series I watched. The animations and story telling is timeless. Miaka, Tamahome, Nuriko. Hotohori and Yui are very iconic and memorable characters. Was really the first mainstream series that I can remember with an openly gay character. I remember watching this as a child. My sister would come home from school everyday and play this anime on our riscpc. The 56k dialup sound and the theme of fushigi yuugi will forever be my favorite childhood memories. I re-watch this anime every few years and it never fails to entertain me. The 90s style of animation is still great if you're asking me. 10/10 recommend. This is one of my all time favorites and I'm thrilled that Crunchyroll has it! Classic ditzy and annoying female lead who matures through friendship and love. There are lots of heartwarming adventures, and also some kind of dark scenes. I am also thrilled to see that Crunchyroll has the OVA and Eikoden episodes too! This brings me right back to my childhood with one of the best series of all time. If you've never experienced a series by Yuu Watase this is the perfect place to start. I also highly recommend her other series including Ceres. The animation might not be up to today's standards, but I give this five stars for a story which still pulls at my heart strings till this day! If you like the classic anime with great romance involved, then I highly recommended this anime for you! The music is fantastic, especially the opening song, it just magically starts to get stuck in your head. It is also meant for people who can handle adult situations, and can be very brutal and serious to watch. The fighting scenes are not the best, but you tend to overlook them and focus more on the story plot and the character development. I really love the heroine, she is strong and funny, but is also very stereotypical and can be weak and always calling for her lovers help. Other than that, great to watch! This was the first manga series that I had ever read as a young teenager. To this day it is still one of my favourites! When I saw that crunchyroll had this gem on the list I just had to watch it again! LOVE LOVE LOVE! While the animation style is older I still love the story! If you find you are not used to it or just don't want to watch an older style of anime then I highly suggest reading the manga. It is soooo goooood! When this first came out when I was a young girl. I fell in love! I was pulled towards it with the amazing plot and suzaku warriors. Thank you Crunchy Roll you made my Dreams come true! The heart of each character really shines bright. This is so worth to watch! You will not be disappointed. A beautiful tale of a girl who made her dreams come true. 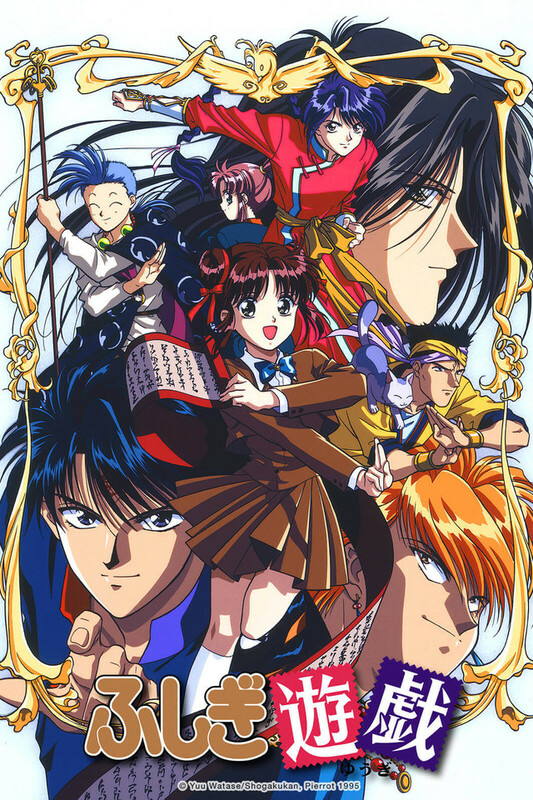 Fushigi Yuugi is definitely a classic in the Shoujo genre, and a gateway series for many older fans. This is one of the series that cemented my love for anime, and I have such incredibly fond memories of it. I remember picking up the first volume at a video store on a whim, and ending up hooked. With an emotional storyline, a colorful cast of characters, and many of the elements that helped define the genre for decades to come....this is truly a legendary series that remains beloved.